First up is a mosaic project that is knit is st st rather than garter. It’s knit in the round with some Yarn Vibes Vale yarn. I’m rather fond of mosaic or slip stitch knitting, it has all the impact of stranded colourwork with none of the messing around with 2 colours at one time. 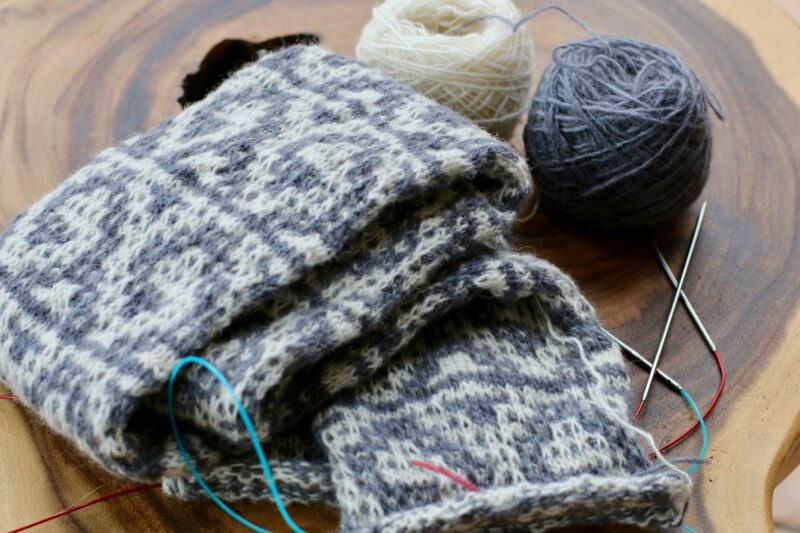 Next we have a hat in Nua Bare Necessities that is being knit from side to side. It’s got all of the cables and it’s just so soft and squishy! The only gift knitting I’ve got in my bag is for my dad, a sweater in Green Mountain Spinnery Mewesic in colour Purple Haze. This is one of my dad’s favourite colours but as I’ve only reached the swatching and pattern writing stage so far. I think this is going to be a knit during Christmas kind of project. My aim is to get the top section with the shaping done so that I’ll be just working in the round over the holidays. Good plan right? This project here is a Nua child’s version of the Novio cardigan. This is a really relaxing knit and it’s my current car project! I’m in the process of using this cardigan as the basis of a new Teachable Brioche class where I use a video to show each step in the project. It’s knitting up quickly enough that I think it should be ready for you all in January. 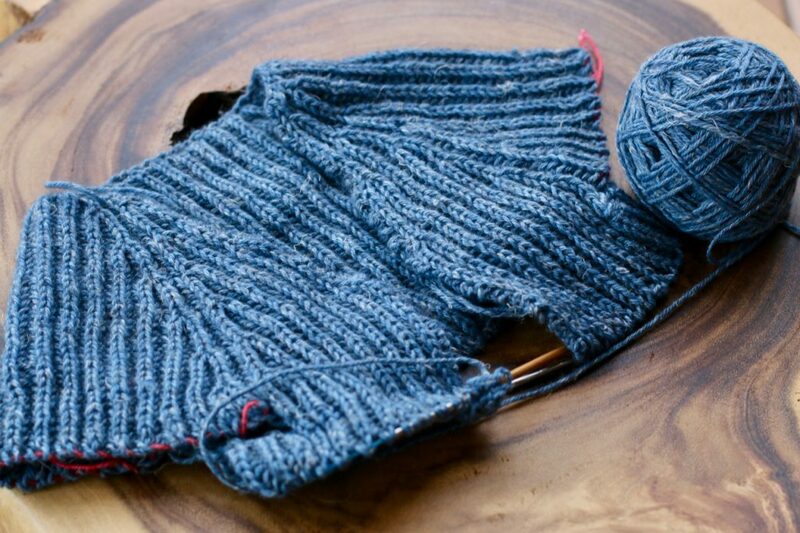 The only selfish project on my needles (well hopefully on my needles soon) is a sweater I’m planning for myself in Yoth Daughter. I got this yarn at Rhinebeck and I’m itching to do a cosy sweater for me. I’ve got the swatching done and I’ve got a ‘plan’ in mind. Now just to get it on the needles. Finally I’m just getting started on a gift for all of you! I’m reknitting my Clypea hat in Nua yarns, changing the gauge and pattern repeats a little to match the yarn. I love this hat and I think that it would be a great match for Nua yarn! The colours I’m planning here are Frog on the Wall, Late Night Blues and Bare Necessities. I’m planning on releasing the update Clypea as a gift for my newsletter subscribers just before Christmas. So make sure you’re subscribed to the newsletter and if you’ve got a friend who would like the hat send them on to the signup form! 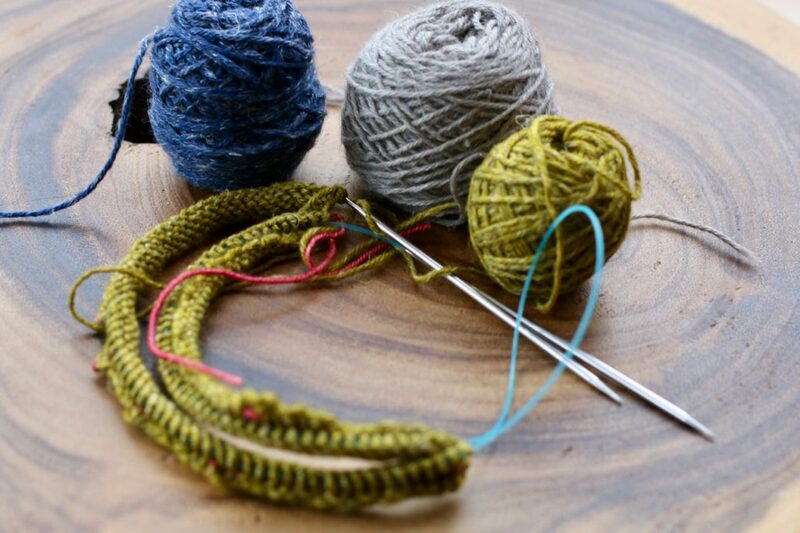 Happy Knitting everyone….what last minute knitting is on your needles right now? Lots of beautiful projects! Very excited about another sweater knit with Bloomsbury DK!! I’ve made shawl pins from vintage straight needles and am knitting mitered square coasters that I will slip the pin into with a note “A coaster to catch your drink that drips, and a pin to catch your shawl that slips.” These are gifts for my knitting group at a party Sunday, so need to hustle to finish up. I’ve got a 2-color brioche scarf gift that I have just another week to complete. And then I’ve got a gift pair of socks Two-at-a-time-Magic-Loop that I’m working the heels. Not too much pressure, and then I can get back to my Throwback caradigan that’s in time out. Wishing you and yours a fabulous Holiday Season! Carol, thank you for sharing all of these lovely projects! I’m looking forward to seeing photos of your completed projects, esp. the sweater for your father. :-) I enjoy knitting with yarns from Green Mountain Spinnery. And it is a fun place to visit. Beautiful projects. Should propel you right through to January. 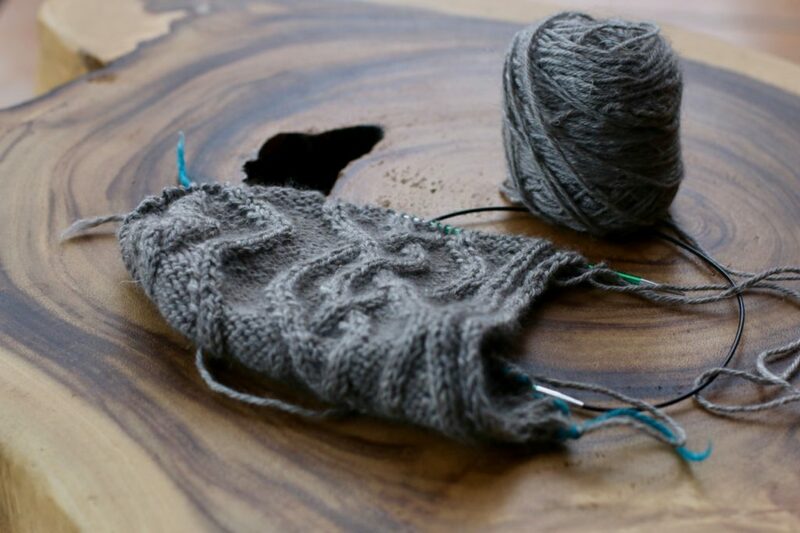 I’m also excited about the sweater knit with Bloomsbury DK! Carry on! On my needles right now is your Ribosome sweater that I am absolutely in love with! 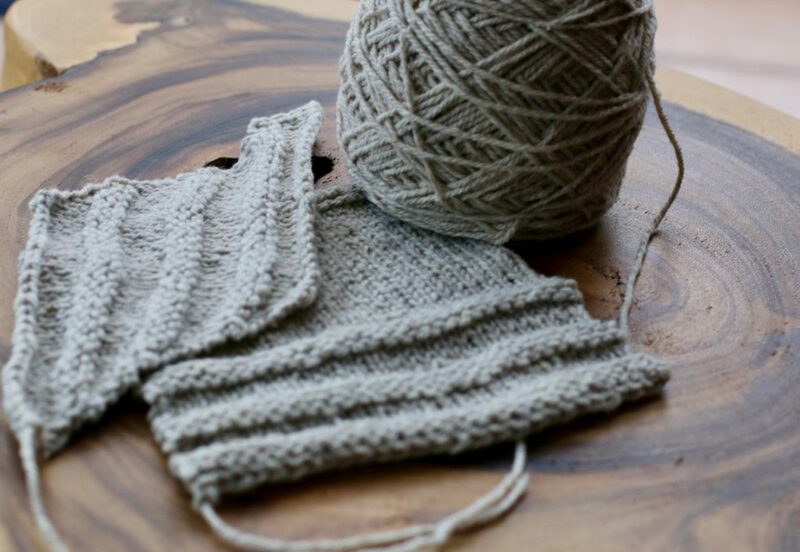 And an advent knitting shawl kit it is a fun way to begin each day in December! 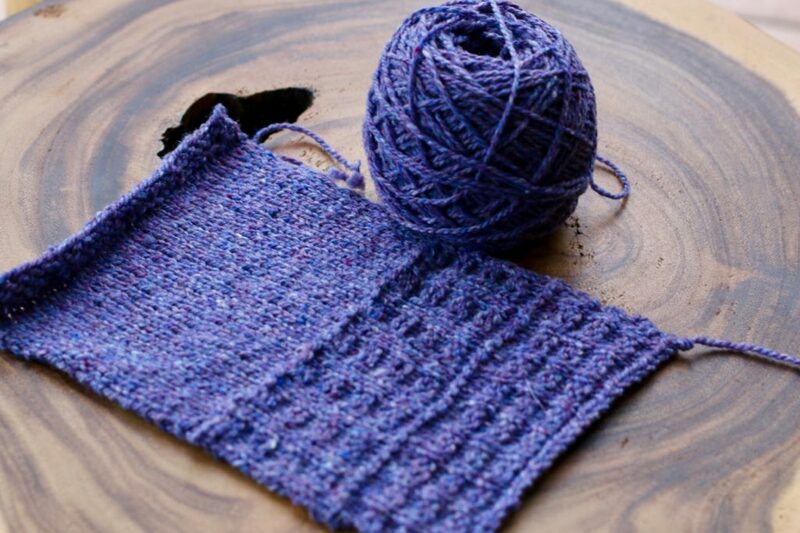 I’ll be knitting Wave Ripples in Fushia, I’ve already ordered the yarn. Yeah for a second KAL for the winter when I keep out of the cold, hibernate and knit. I will say that you are very ambitious, Carol. I know you’ll get everything done in the time allotted. I’m looking forward to the child’s Novio sweater pattern. It will be perfect for my granddaughter for next Christmas. Right now I am knitting mittens and a hat for my granddaughter out of left over yarn from the Tangential KAL and sewing buttons on four sweaters for her before I block and send them off to go under her tree. Carol, thanks so much for sharing so many wonderful projects. I am particularly fond of the mosaic piece, and like you, I love the idea of color work with out carrying two colors at the same time. I hope that you will share your pattern for this piece because I think the mosaic pattern would make a great cowl. Carol, I love the color of the sweater for you Dad! Can’t wait to see it finished. Also looking forward to the hat pattern!